I’m a relatively new fan of whisky. Along with red wine, I could never quite understand how people would enjoy supping on a glass, but over the last two years my tastes seemed to have changed and I’ve ditched Sauvignon Blanc for Malbec and Grey Goose for Wild Turkey. The Whisky Tide* is a series of events going on across Geronimo Inns for the next month or so, introducing people to new whiskies; demonstrating the variety of serves and flavours, and letting you know that the brown stuff doesn’t start and end with a certain bottle with a black label made in Tennessee. 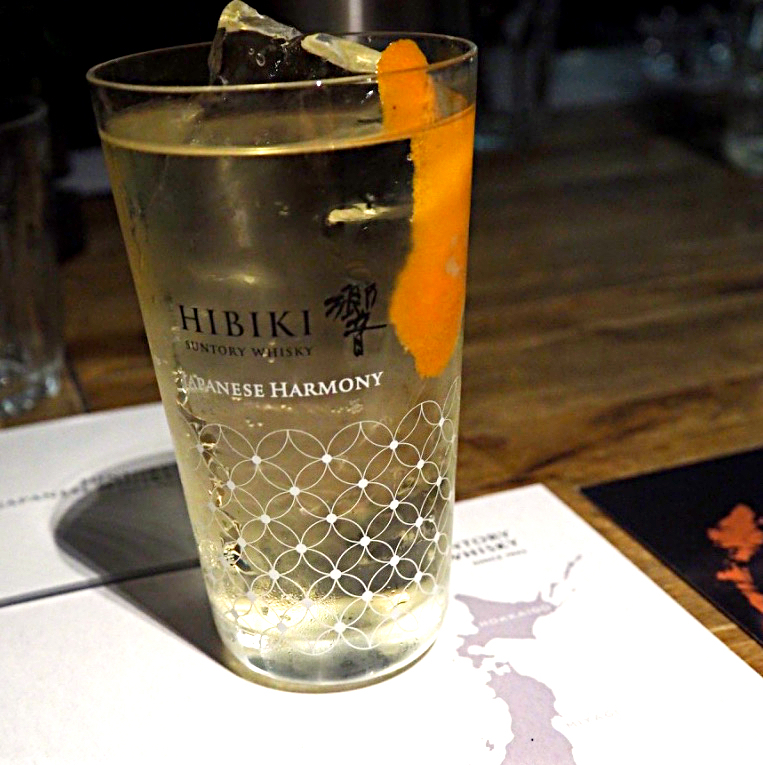 We started our world whisky tour in Japan (via The Oyster Shed pub) with a highball cocktail made from Hibiki whisky and mixed with soda water and orange peel. 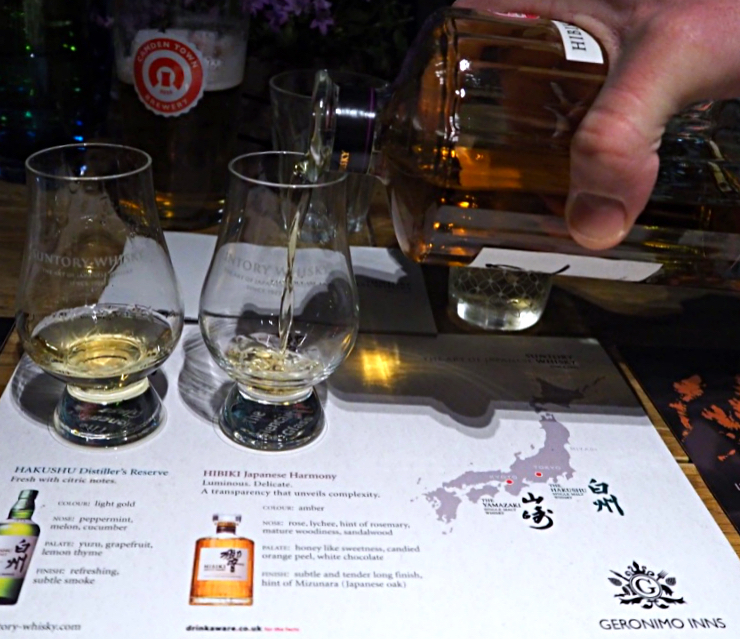 Our taster glasses were then filled with neat whisky: the Hakushu Distiller’s Reserve and the aforementioned Hibiki Japanese Harmony. 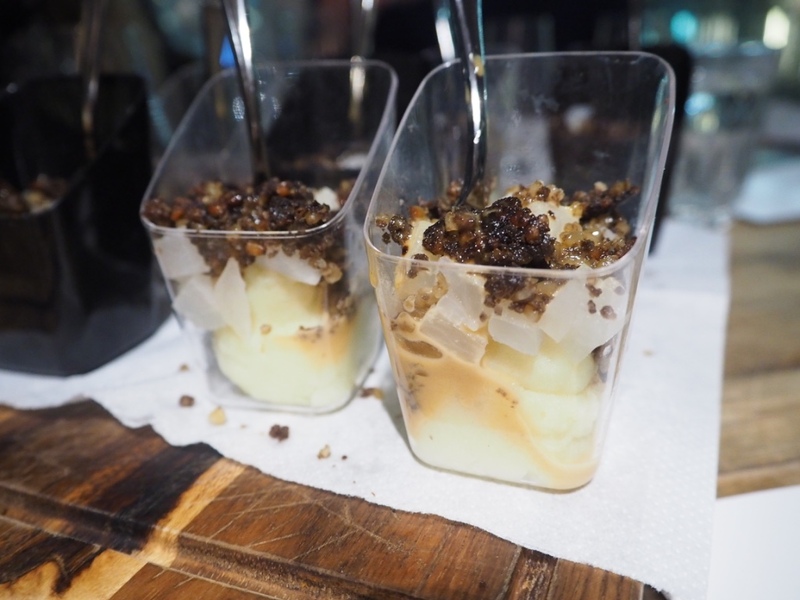 Both were light and smooth; seriously easy to sip on and without the characteristic throat burning of whiskies that are only drinkable with coke. The former was really fruity, hinting at lemon without being bitter, and the latter was surprisingly sweet, almost like a dessert wine but not as heavy. 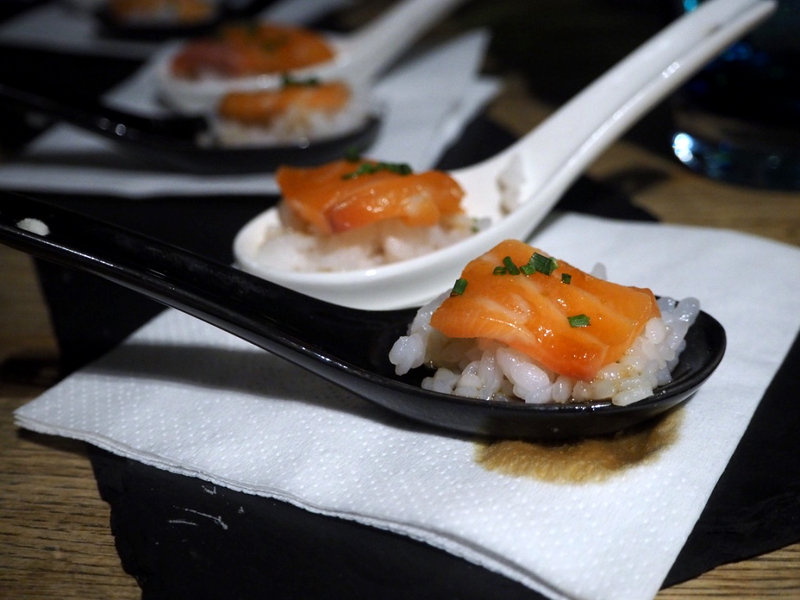 We were encouraged to try some sushi after taking a sip and I was amazed to genuinely notice how the whisky brought out the taste of the fish so perfectly. On to the American whiskies, or bourbons. 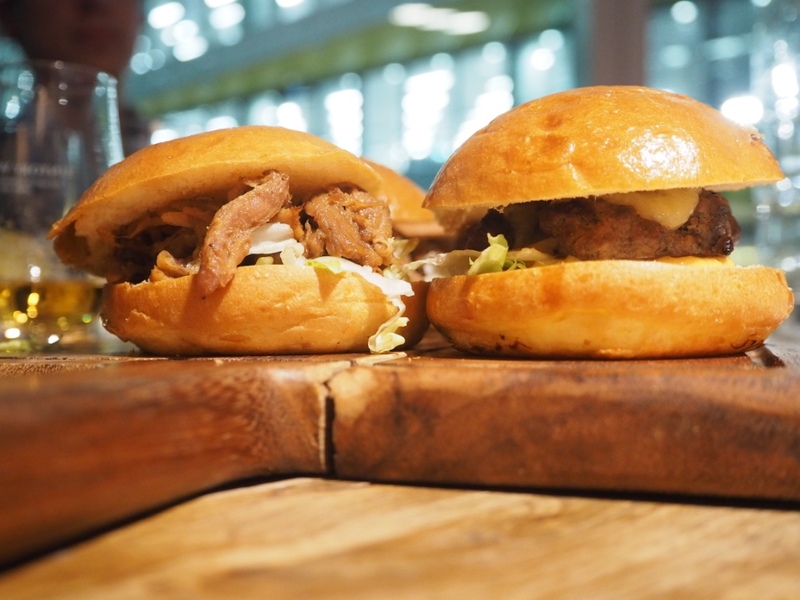 Did you know 95% of the world’s bourbons come from Kentucky? 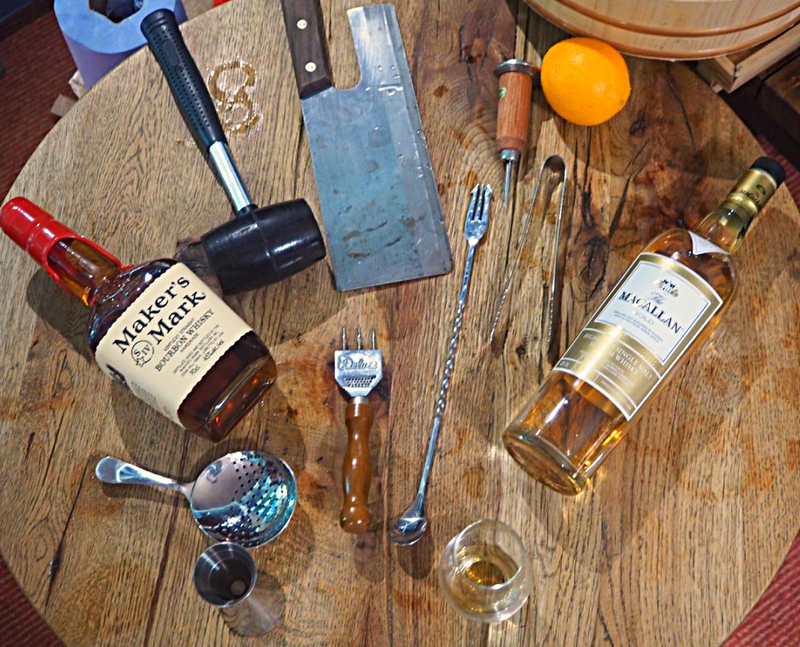 Unlike other whiskies which are distilled in barrels which have previously held sherry or older whisky, bourbon must be distilled in brand new casks. I think I’ve been put off bourbon before because I can’t stand Jack Daniels, but I was quite taken by how much I liked Jim Beam. Sweeter than the Maker’s Mark that followed (which I enjoyed but it was a bit more bitter than I like), it went with the hamburgers we had in the way that candied bacon works – salty and sweet all at the same time. Finally we had the famous Scottish whiskies: Highland Park and The Macallan. I’m afraid these just didn’t do it for me. They were smokey and dense and had a smell of permanent markers that’s always put me off whiskey before. The neeps and tatties we had with it were fab, but I did sneak an extra taste of the Japanese whiskies to cleanse my palate a bit! 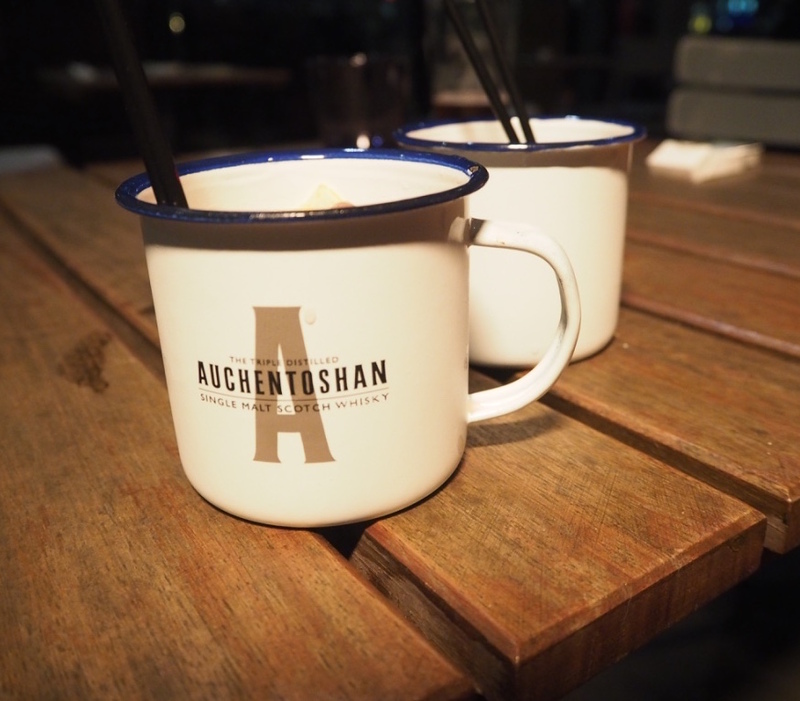 We finished the evening with a tin mug of a cocktail made with Auchentoshan whisky, jam and beer. Sounds gross, but was totally the opposite. I like a fruity cocktail so I enjoyed this very much, especially after the dulcet tones of the neat whisky we’d been drinking up until that point. 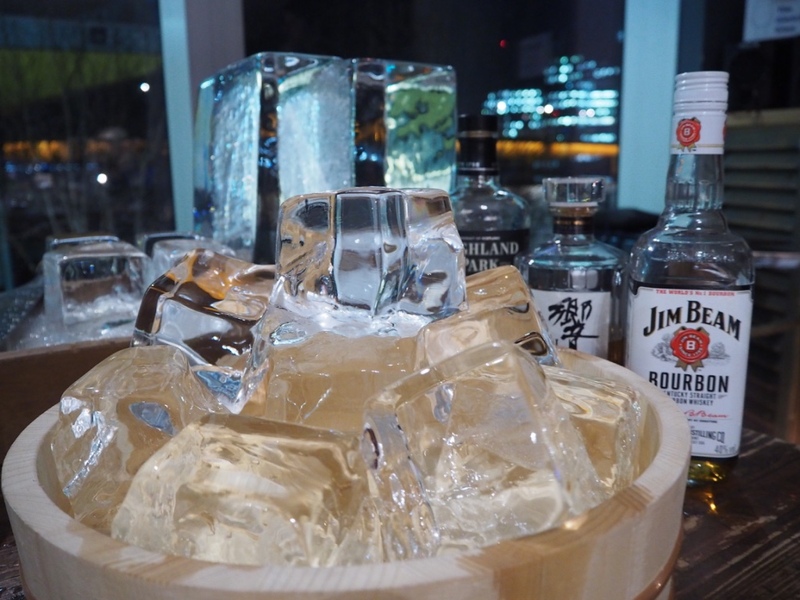 You can find Whisky Tide events all over London until March 2016, check out the schedule here. I was invited to sample these whiskies courtesy of Geronimo Inns but all words are my own (and written without the influence of whisky in my system).